Keswick, Ontario. 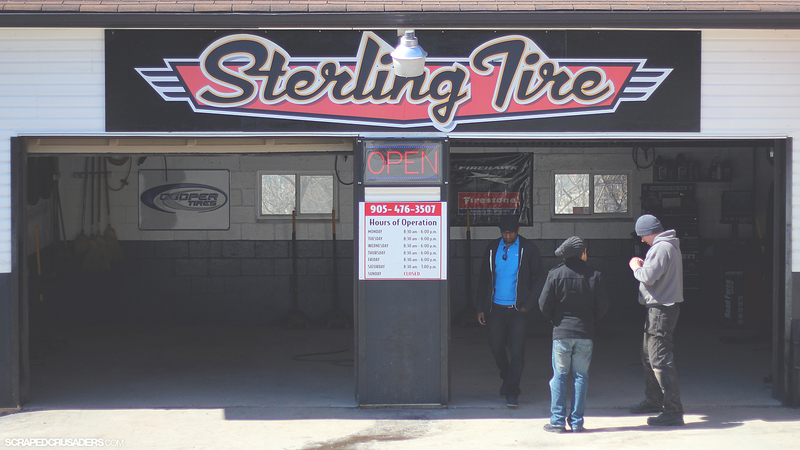 Home of Sterling Tire. Worth the drive. I was in need of some rear rubber. Since I ran 215 40s in the rear last year. I wanted a slightly chunkier chunkier 205 40 to keep the outer diameter and rake the same as last year. Ended up with Nexens. Almost identical size to my previous setup. I had planned on taking more photos but found out the hardest part about taking photos is just remembering to take more photos. lol. I seem to do that all the time. Dave and I shared photo duty. Still only managed 4 good ones. 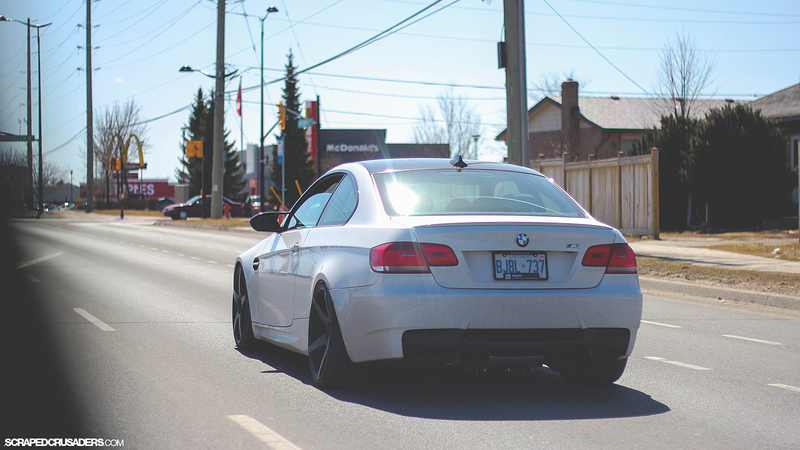 We did catch Jimmy from Pfaff Tuning in his M3, on the way back to Toronto. OOhhh lawwwwddd. That e92 sounded good. This entry was posted in Air, BBS, BMW, Dave M, Dumped, Pfaff, Rollers, RWD and tagged bbs, BMW, Dave M, Keswick, Nexen, Sterling Tire on April 1, 2013 by scrapedcrusaders. The RWB Thailand shop has been busy the last year. Also home to my favourite RWB car. That grey and black 964. This entry was posted in Auto Racing, Because Race Car, Dumped, Hooning, Porsche, Rollers, RWB, RWD, Work and tagged 911, 964, 993, 997, Nakai, porsche, RWB, Targa, Turbo on March 2, 2013 by scrapedcrusaders. We’ve posted his amazing videos before. Everything is better in slow motion. This entry was posted in Air, Audi, Auto Racing, BBS, Because Race Car, BMW, Drifting, Hooning, Mercedes-Benz, OZ, Retro, Rollers, RWD, Stanced and tagged Auto Racing, Because Racecar, Benz, BMW, DTM, lancia, Mercedes, Ze germans on February 27, 2013 by scrapedcrusaders. This entry was posted in Audi, Daily Scraped, Dumped, Rollers, SC Media, Stanced and tagged Audi, B6, Daily Scraped, dumped, Mike-Diep, S4 on January 21, 2013 by scrapedcrusaders. Not a Vossen fan but LOVING those rollers. This entry was posted in Auto Racing, Because Race Car, Dumped, Hardparked, Porsche, Rollers, SC Media, Stanced, Video and tagged 911, 997, dumped, porsche, Roller, Video, Vossen on January 20, 2013 by scrapedcrusaders. Why is the Mulsanne Straight ruined by two chicanes? 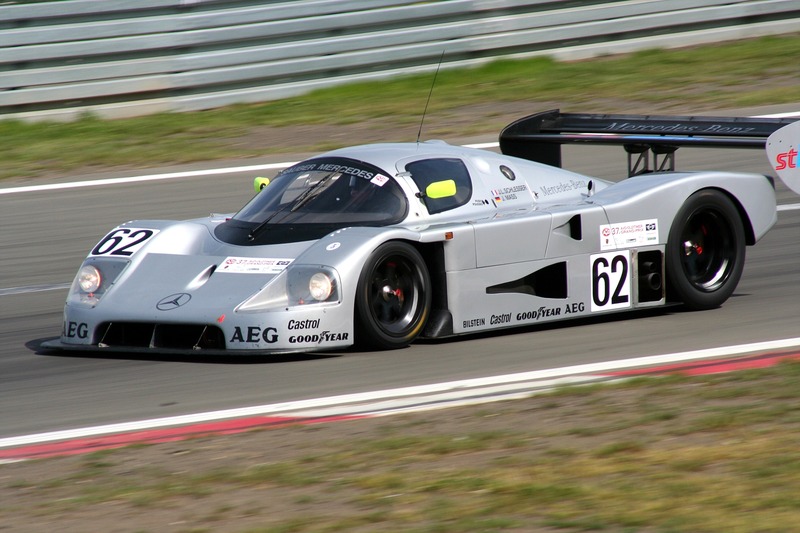 ….Group C. From 1982 to 1993 this was the category that formed Sportscar racing. These were purpose built prototypes that had little to do with production cars. The major restrictions allowed only engines from any manufacturer already homologated in FIA’s Group A or Group B and another allowing only 600 litres of fuel to be consumed over 1000kms. This provide for a variety of engine types to compete. Big motors vs. small turbo charged lumps. V12s V10s, V8s, V6s, Flat 6s… This proved enticing for many manufacturers. The first 6 years were DOMINATED by one manufacturer. Porsche. The all conquering 956 is arguably Porsche’s best ever. The 956 was an aluminium monocoque, turbo flat six engined world beater. Among its claims to fame is the, still standing, lap record at the Nurburgring (6:11 by Stefan Bellof). Jackie Ickx, Derek Bell, Stefan Bellof, Kluas Ludwig, Henri Pescarolo, Hurley Haywood, Hans-Joachim Stuck, Al Holbert, Jochen Mass, Mario and Micheal Andretti, Bob Wollek, and Stefan Johansson are all former drivers of the 956. That pretty much reads as the who’s who of sportscar racing for that time period. 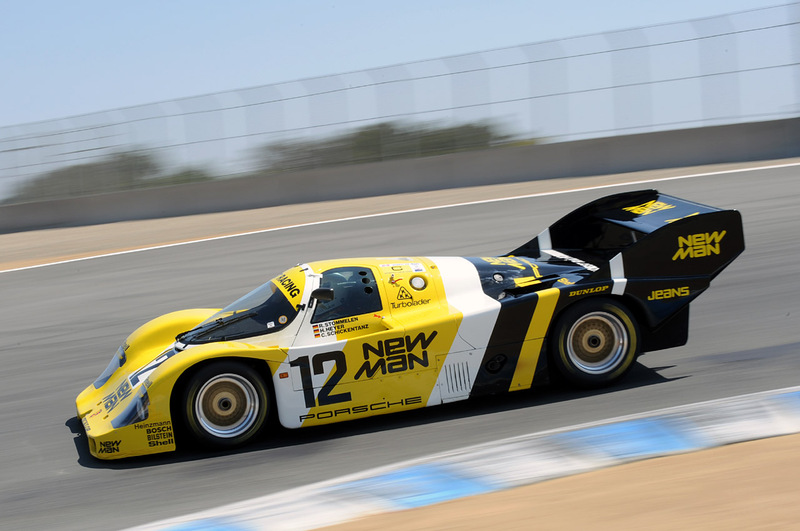 Once the 956 ran its course the 962, which was basically an evolution of the 956, won for another two years. Its also the basis for that nameless hot wheels prototype car we had as kids. Other successful manufacturers after Porsche include Mercedes-Benz, Jaguar, and Peugeot. Jaguar having success with both the XJR-9LM and XJR-12 provided Porsche with its first real competitor. 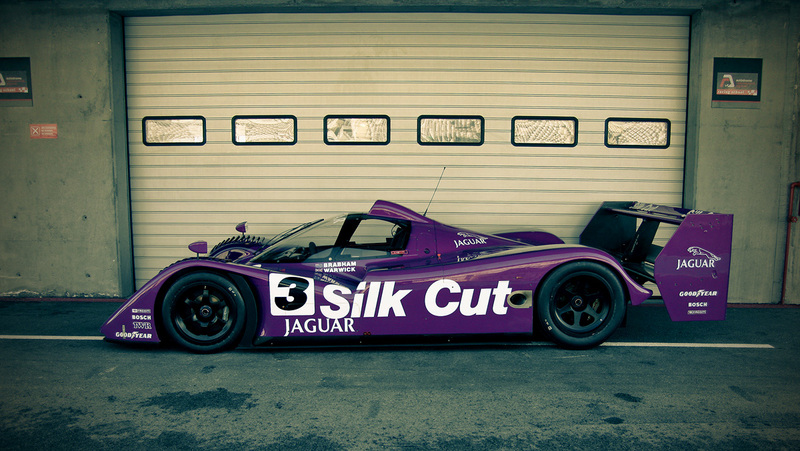 They did however have a few more prototypes, like the XJR-14 below with little success. Its Silk Cut livery will forever be one of the eras favourite. As a kid I thought, how big do hair salons get to sponsor a whole Le Mans team. Turns out they were smokes. The Jags unique feature were the rear wheel covers. Other manufacturers would run them eventually too. In contrast to Porsche turbo flat six, Jaguar used a huge 7.0L V12. It’s drivers include Mark Bundell, Martin Brundle, Teo Fabi, Andy Wallace, Patrick Tambay and Jan Lammers, among others. Next in line were Mercedes Benz. With the help of the Sauber team its C9 and C11 were on top of the field for a few years. However they were only able to win Le Mans once. Incredible top speed were helped along with a twin-turbo charged 4.9L V8. The Silver livery was a throwback to its Silver Arrows days back in the 50’s. It’s lineup included Micheal Schumacher, Manuel Rueter, Jochen Mass, Jean-Loius Schlesser, Jean-Pierre Jabouille. 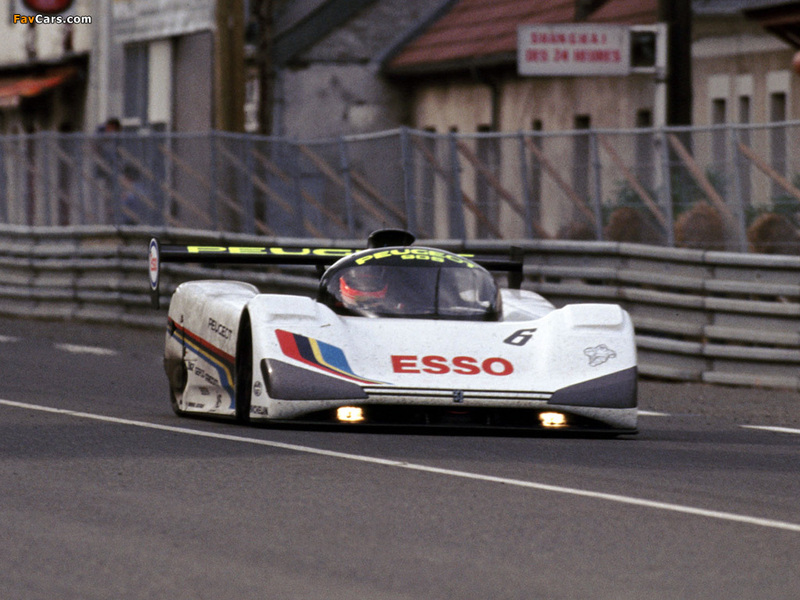 The end of Group C saw Peugeot clean up with the 905 and 905 Evo. It ran a 3.0L V10. The car and engine were both developed by Peugeot Talbot Sport. The same team that designed all of Peugeot rally cars, so you know the pedigree was up to task. And with drivers like Derrick Warrick, Yannick Dalmas, Geoff Brabham, Christophe Bouchut and Eric Helary. Part 2 will see the Japanese machines of this era along with the also rans. This entry was posted in Auto Racing, Gawa, Mazda, Nissan, Porsche, Rally, Rollers, RWD, SC Media and tagged 905, 905 EVO, 956, 962, C11, C9, Group C, Jaguar, Mercedes-Benz, Peugeot, porsche, Prototypes, Sauber, XJR-12, XJR-14, XJR-9LM on January 19, 2013 by scrapedcrusaders.